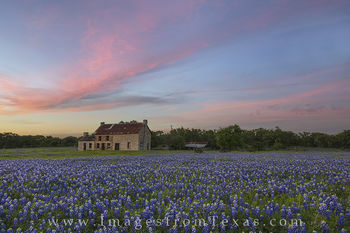 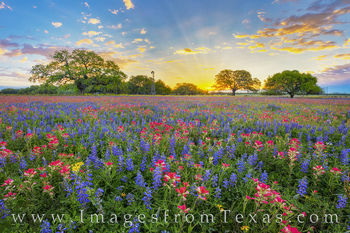 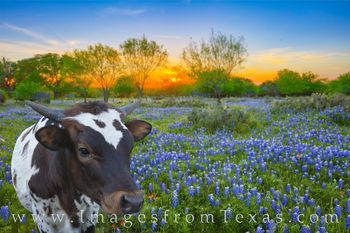 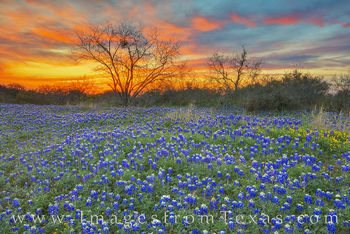 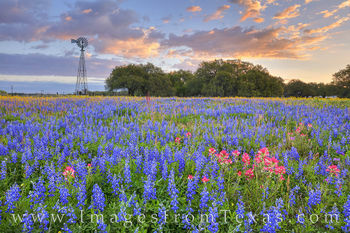 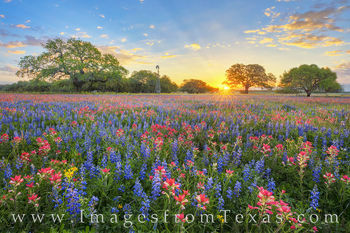 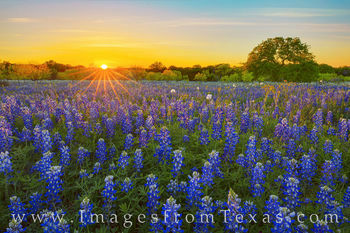 This gallery features my favorite bluebonnet images from across the state of Texas. 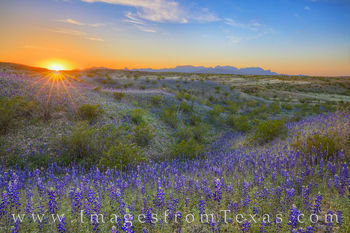 These photographs are available as prints or digital files. 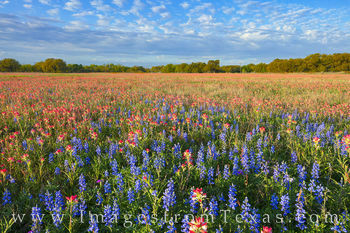 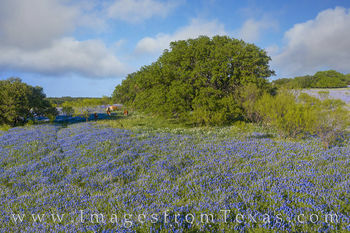 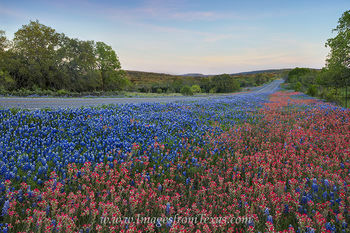 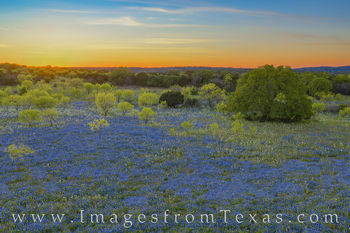 More bluebonnets can be found in my Texas Wildflowers Gallery. 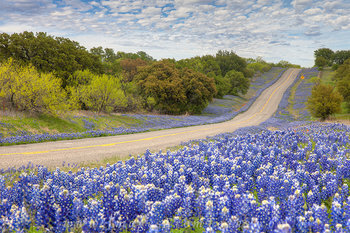 The late fall and winter of 2018 brought significant rains. 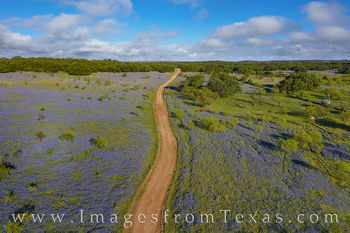 As we head head into March, fields of wildflowers, including bluebonnets, are blooming south of San Antonio. 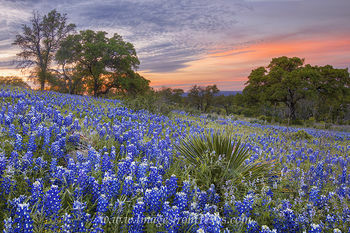 These blooms will slowly work their way north, and the peak for bluebonnets in the hill country looks to be in early April. 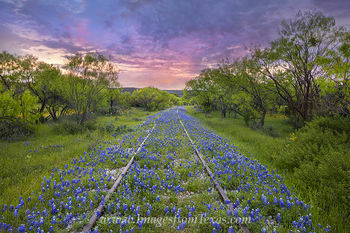 If this this progress as it seems likely they will, it could be a banner spring. 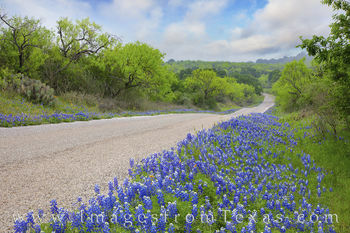 On roads across the hill country – many of them dirt – from Llano to Mason to Fredericksburg – up to Brady and San Saba and down to Blanco, bluebonnets will appear and fill in first the ditches, then the fields a week or two later, in a swath of blue. 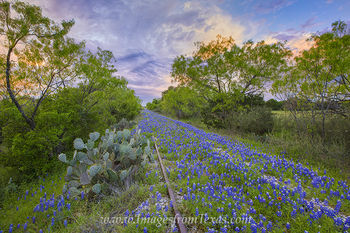 The blooms will progressively work north to the famous Ennis area and the Bluebonnet Trail around that town. 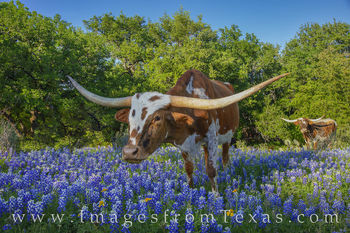 For specific locations, you just never know. 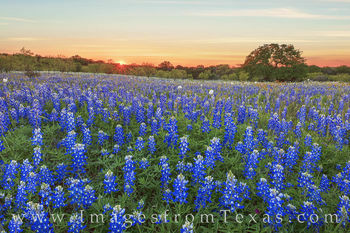 I am asked several times a week leading up to bluebonnet season where the blooms will be. 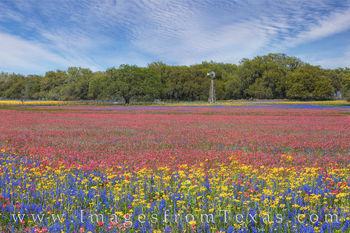 But until the flowers appear, it is a guessing game. 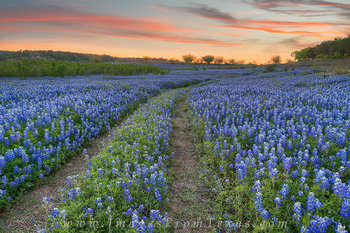 I’ve seen fields between Mason and Castel that were one year like a sea of blue petals, and the next year covered and overgrown with weeds. 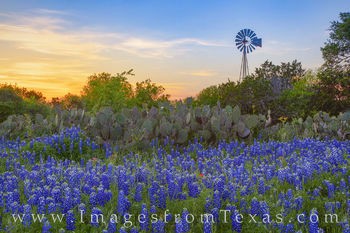 I’ve seen one of my favorite locations in and around Marble Falls turn from a bluebonnet field with horses grazing to gnarly cacti-laden pastures. 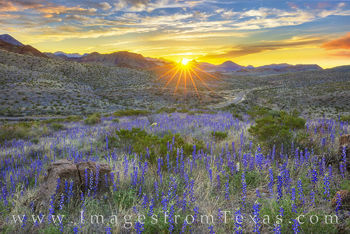 In Big Bend National Park, that area has already seen a once-in-lifetime bloom of bluebonnets. 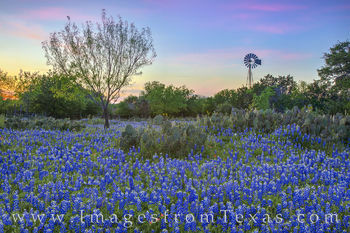 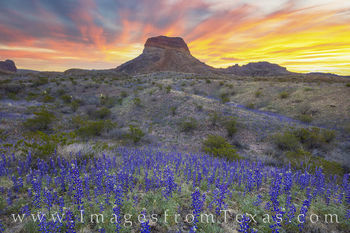 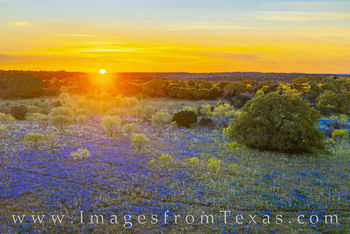 Please visit my Big Bend Bluebonnet gallery for more of those images. 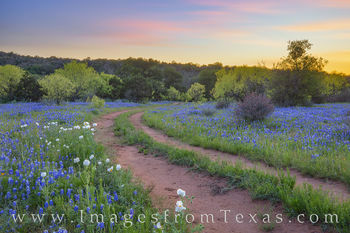 Regardless of where bluebonnets appear, they first appear in the fall from a small, tough seed shot out of the parent flower the previous April. 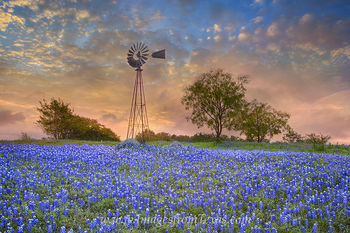 The little rosettes stay close the ground over the course of autumn and winter, growing only a little but enjoying any rain that falls their way. 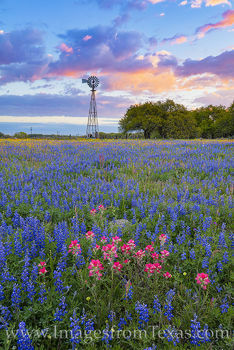 The rains over these winter months set the course for spring. 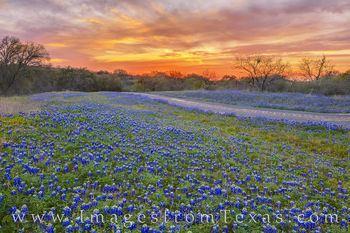 By the time February and March arrive, the rosettes are eager for water and warmer weather. 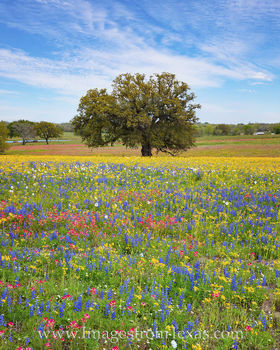 When the conditions are right and the ground warms as spring progresses, they grow quickly into beautiful flowers for all to enjoy. 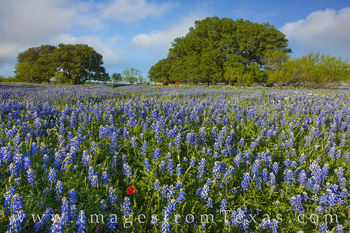 The most prolific bluebonnet displays show up in wet springs and nearly always coincide with an El Nino weather pattern. 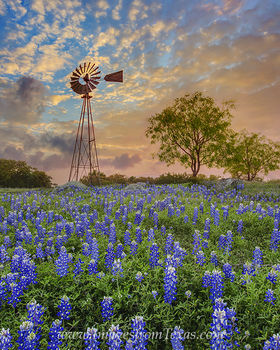 Contrary to the seemingly straightforward approach to beautiful spring blooms, the recognition of the bluebonnet as a symbol of Texas proved more difficult. 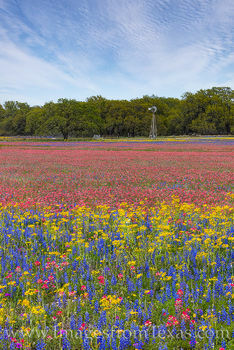 About 100 years ago, lawmakers engaged in much discussion over the choices for Texas' state flower. 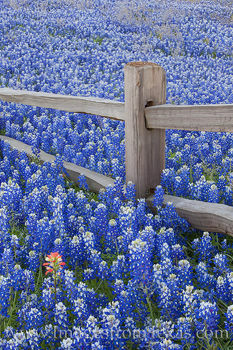 The men argued over the cactus - hardy and tough - or the business friendly cotton boll (yes, spelled boll). 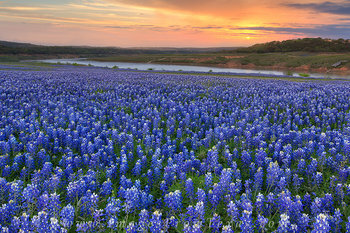 The women, however, pushed for Lupinus subcarnosus, a smaller version of the common bluebonnet also known as buffalo clover. 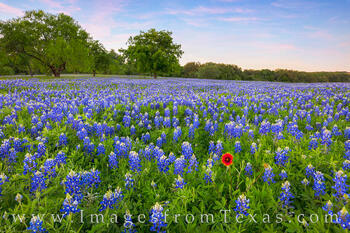 The men acquiesced, being the gentlemen they were, and in 1901 Texas has found its state flower. 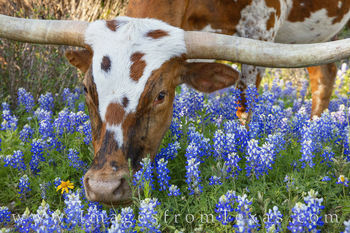 Or so it thought. 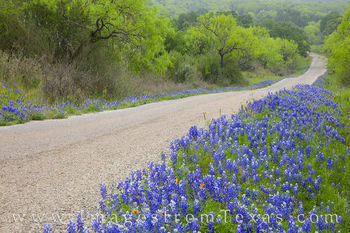 The folks in government didn't realize it at the time, but there was another species of this wildflower out there, Lupinus texensis, or Texas bluebonnet. 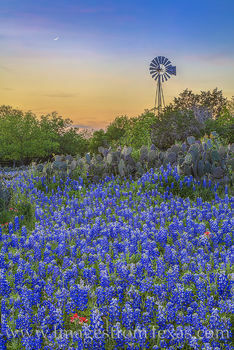 This plant was a showier, taller and more robust version than the chosen version. 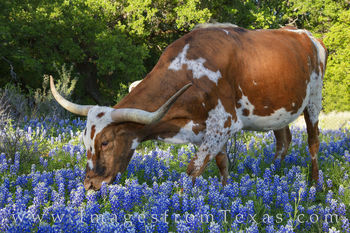 So for the next 70 years, the debate ensued. 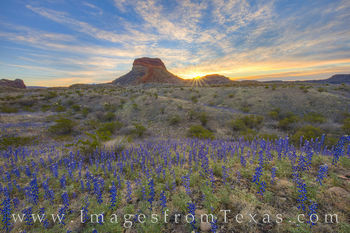 Finally, in 1971, the legislature compromised and stated very diplomatically that both species of bluebonnet, as well as any future species discovered in Texas, would be recognized officially as the flower representing the state. 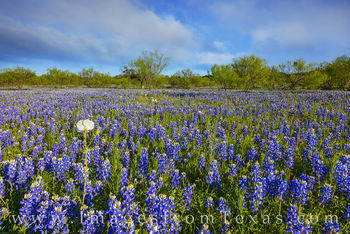 Today, there are five known species of bluebonnets. 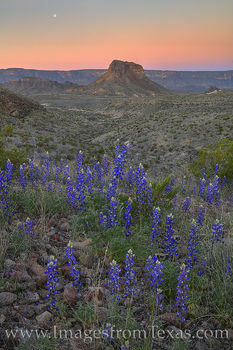 Along with the two previously mentioned, Big Bend National Park has its own species, Lupinus Havardii. 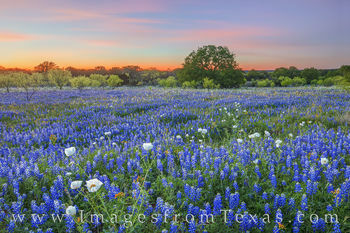 The last two include the annual lupine, Lupinus concinnus, and the perennial bluebonnet, Lupinus plattensis. 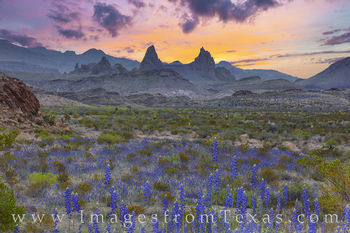 If you have any questions regarding these images as prints or digital files, please do not hesitate to contact me.